With this in mind, we thought we’d look forward to some other movies coming down the pipe that we suspect could similarly tank at the box office. It’s not that we think these movies will be bad—we hope, and in expect in many cases, that they’ll be great. While we try to stay optimistic, however, these are also examples of movies where there appears to be a legitimate chance that audiences might take a flyer and sit these titles out. A prequel to Snow White and the Huntsman, the upcoming The Huntsman: Winter’s War tells the story of Erik the Huntsman (Chris Hemsworth) before he encounters Snow White. Basically, we’ll learn how he became a widower and such a miserable drunk, all while he tires to stop two evil witch sisters from taking over the land. The most impressive thing about Huntsman is the cast. In addition to Hemsworth and a returning Charlize Theron, it also stars Emily Blunt and Jessica Chastain. That’s a lot of top-tier talent. 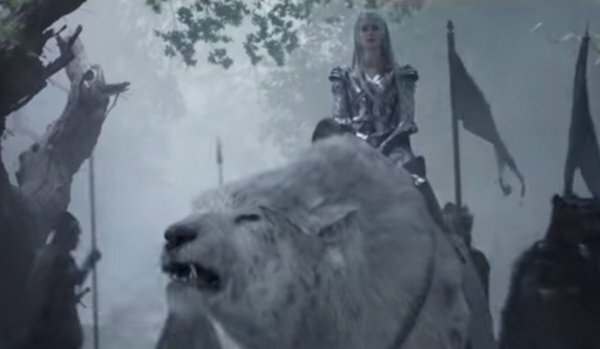 From what we’ve seen, it also looks to employ similarly striking visuals as its predecessor (including Emily Blunt riding a polar bear! ), and hopefully it will have an engaging, compelling story and characters to match. Why We Think It Could Bomb: 2012's Snow White and the Huntsman was a decent sized success, earning almost $400 million worldwide. But it was not a hit with critics, and it’s really most memorable for being the film that broke up Twilight super couple Kristen Stewart and Robert Pattinson. Though it was successful, not a lot of people were clamoring for a follow up, and Universal’s prequel seems like a forced attempt to manufacture a franchise where there may not be need for one. We’ve had a few looks at Huntsman: Winter’s War, and while it looks like a bonkers spectacle that could be crazy enough to be fun, the general response from casual moviegoers has been akin to "they made a sequel to that movie?" 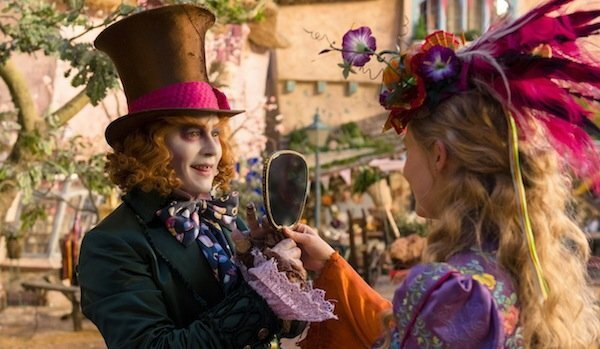 A sequel to Tim Burton’s 2010, Johnny Depp-starring adaptation of Lewis Carroll’s Alice in Wonderland, Alice Through the Looking Glass drops later this year and picks up the titular Alice in the titular Wonderland. With Flight of the Conchords’ James Bobin taking over the directorial reins, the action follows Alice (Mia Wasikowska) as she returns to Wonderland. Though many of the same players are there, including Depp’s Mad Hatter, she finds that things have drastically changed, not for the better, and must set them right. Why We Think It Could Bomb: Alice in Wonderland was a massive hit. Like it made $1 billion massive. However, it got mixed to middling reviews, and in the intervening years, it has become something of a punch line. And audiences also seem to have tired of Johnny Depp dressing up in silly costumes with affected voices, which may cause many to stay way. Up until this weekend, the addition of Sacha Baron Cohen sounded like it could have been a good idea, but his latest, The Brothers Grimsby, face planted upon release, and his drawing power may not be what it once was. Alice Through the Looking Glass will also face stiff box office competition when it is released as X-Men: Apocalypse opens the very same day. 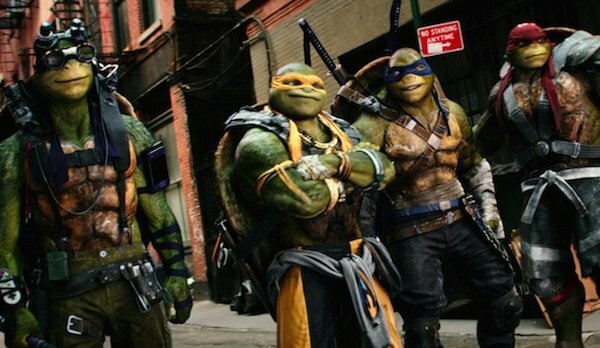 Following on the heels of 2014’s revamped Teenage Mutant Ninja Turtles, which made almost $500 million worldwide, comes the follow up, Teenage Mutant Ninja Turtles: Out of the Shadows. Handed over to a relatively inexperienced feature director in Dave Green (Earth to Echo), a portal that looks suspiciously like the one from The Avengers opens up over New York unleashing an invading force of some kind. And that’s only one thing the four teenage martial arts practitioners have to deal with. They’ve also the Foot Clan and Shredder to contend with, Rocksteady and Bebop to fight, and Krang even shows up for laughs. Luckily they’ve got a new ally in the form of Casey Jones (Arrow’s Stephen Amell) to lend a helping hand. Why We Think It Could Bomb: To be honest, I don’t actually think Teenage Mutant Ninja Turtles: Out Of The Shadows will bomb. It might be the safest best on this list, but there’s still the possibility of a total belly flop. They’re bringing in some fan favorite characters like Casey Jones, Rocksteady, Bebop, and Krang. While the first one got largely poor reviews (I maintain that they got the personality of the Turtles right, though they look terrible, but spent too much time on April O’Neil), it was such a popular success right away that the sequel got the green light opening weekend. People are going to go see this, but the worry is that with the sudden success, perhaps the studio has rushed the sequel, and while it will likely have a big debut, it may not have the legs of the last movie. It also comes just a week after X-Men: Apocalypse and Alice Through the Looking Glass, and a week before Warcraft and The Conjuring 2, so it’s window for success may be limited. Based on the hugely popular World of Warcraft, Duncan Jones’ Warcraft is a huge, special effects driven fantasy epic. The world of Azeroth is on the brink of war as the humans who live there come face to face with a race of fearsome warrior orcs fleeing their dying world and trying to find a new home. Each side faces destruction and extinction from all sides, but in this brewing conflict there are unlikely alliances formed and you’re sure to wonder who the real monsters are. Why We Think It Could Bomb: World of Warcraft was massive, more a cultural phenomenon than a simple video game. Legendary and Universal are hoping that this popularity and built-in audience will translate into tickets in a way that, up to this point, most video game adaptations have failed to do. 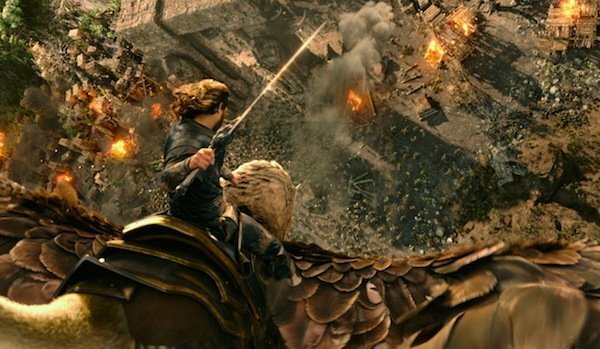 That’s the biggest question Warcraft will have to answer if it’s going to find box office success: Are these fans still invested enough to go see a movie, or has the window closed and popularity waned? Duncan Jones (Moon, Source Code) is an interesting young director, but he’s never worked on this scale before. And while the cast is full of fantastic actors, there aren’t any big names or box office draws to speak of—though, as we saw with the likes of Lord of the Rings, that’s not always an impediment for a movie of this ilk, but with a $100 million price tag some reassurance might be nice. With big, crazy looking fantasy epics like Huntsman: Winter’s War and Gods of Egypt also hitting this year, there’s potential to split the audience and for fatigue for this type of film to set in by the time Warcraft hits in June. It’s release was also delayed, and principal photography finished in 2014, though it was most recently moved so it didn’t go up against Star Wars: The Force Awakens, which is probably a smart move. It’s been twenty years, but the aliens who showed up in 1996 and wrecked up the joint in Independence Day are back again to have another go in director Roland Emmerich’s Independence Day: Resurgence. Turns out the previous wave was just a kind of advanced, tip-of-the-spear kind of thing, and this time they’re bringing out the big guns. But we knew this was coming and, using the tech left behind by the extraterrestrial invaders, the human race has been preparing to play defense. But will it be enough? Or will we have to rely on the ingenuity and bravery of a few men and women to save the day yet again? Why We Think It Could Bomb: Long gestating sequels are always a dicey proposition. Independence Day is awesome and beloved and still holds up as a lot of fun. 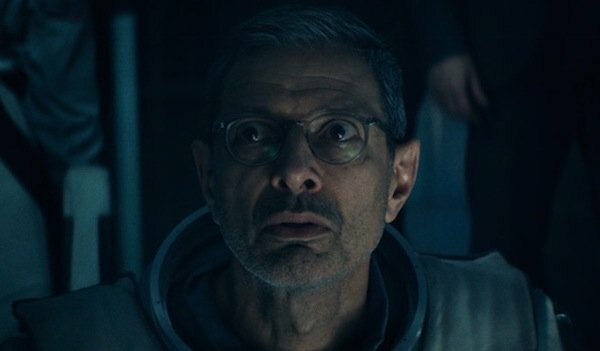 But by the time Independence Day: Resurgence hits, it will have been two decades, and though sequels have been talked about for years, there has never been a huge public outcry begging for this, screaming that this needs to happen. While many of the key players from the original film are coming back for the second go round, the biggest star, Will Smith, is nowhere to be found. There are many of us still nostalgic for this, but it remains to be seen whether or not there are enough of us to make it a blockbuster. It worked like gangbusters for Jurassic World, but with a big budget and relatively little star power, IDR sounds like a risk. Though we are excited to see Roland Emmerich get back to large scale destruction, we’re curious to see how much interest there is in Resurgence. Hollywood has been in love with the story of Tarzan, King of the Jungle, since day one, and the latest big screen incarnation of the man raised in the wild by great apes hits this summer. The action picks up with Tarzan (Alexander Skarsgard), assimilated into London society, living a civilized life his wife (Margot Robbie). When he is offered a job as a trade emissary to the Congo, he is an unwilling pawn in a larger, nefarious plot. It has a great cast that also includes Christoph Waltz, Samuel L. Jackson, Djimon Hounsou, and John Hurt, and in the hands of multiple Harry Potter helmer David Yates, there is some stunning imagery to be seen. Why We Think It Could Bomb: Though the cast of The Legend of Tarzan is very, very good, none of them are particularly proven box office draws. And with a reported price tag of $180 million, it already has a long way to go to be profitable, or even break even, and Warner Bros. might benefit from being a bit wary. Hopefully this will be a nice throwback to the high adventure of pulpy, serial-style tales of yesteryear, but what we’ve seen looks gorgeous, but the story comes across as a bit silly and melodramatic, which could put off some general audiences. It will also have some strong competition at the box office when it drops, including Steven Spielberg’s The BFG, also based on a beloved classic, though with a more family friendly bent, and The Purge: Election Day. Tarzan also hits just a week after Independence Day: Resurgence, which could be a big hit, despite what we’ve said elsewhere on this list. 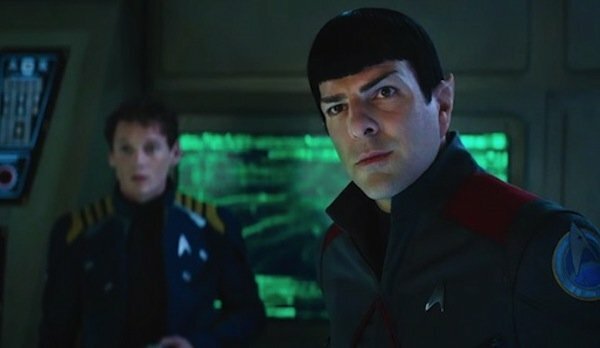 While the previous two films in the revamped franchise have taken place largely on or around Earth, Star Trek Beyond, the third chapter in the newly rewritten timeline, will reportedly find the crew of the Enterprise in the midst of their iconic five-year mission to boldly go where no one has gone before and all of that fun stuff. This is a breath of fresh air for fans who have wanted to get to more deep space action, and the addition of Sofia Boutella, and Idris Elba as the villainous alien Krall are promising new elements indeed. We have hope that this will totally rule, but we’re taking a wait and see approach. Why We Think It Could Bomb: Star Trek Beyond is something of a make-or-break proposition for the franchise. Both Star Trek and Star Trek Into Darkness were successful, but not as successful as Paramount hoped in either case. If Beyond isn’t a huge hit, the future of the franchise may be in question. There’s a lot of pressure on the film, especially as 2016 marks the 50-year anniversary of the original series. With that, there has also been a great deal of turbulence. The core cast is all back, but director J.J. Abrams vacated the big chair for Star Wars, Roberto Orci was ousted by the studio over conflicting visions of the direction, and the script was taken over by star Simon Pegg and Doug Jung and rewritten very close to the beginning of production. Into Darkness has been reviled by may long time Trek fans—it was voted worst in the saga at a recent fan convention—and I know it’s only a trailer, but the response to the first look at Beyond was not positive. Even Simon Pegg and other cast members have said the trailer isn’t good. None of this means Star Trek Beyond won’t be a huge hit, but it’s enough to cause some concern that audiences may stay away. 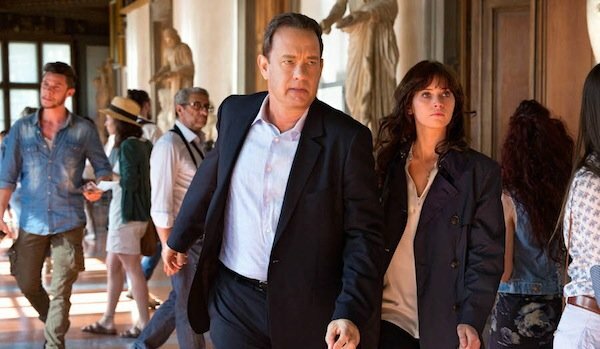 The third in the Tom Hanks/Ron Howard tag team trilogy that started off with The Da Vinci Code and Angels & Demons, Inferno, also adapted from a novel by Dan Brown, is slated to hit theaters later this year. When Robert Langdon wakes up in a Venice hospital with no memory of the previous days or how he got there, he discovers that he is the target of a major manhunt, again, and he must use his knowledge of symbology, again, to follow clues, solve an intricate mystery, and regain his lost memories, all as he is pursued through exotic locations with a much younger woman (Felicity Jones) in tow. Why We Think It Could Bomb: The Da Vinci Code, the novel, was a bonafide cultural phenomenon. It was everywhere, and the movie, which earned $758 million worldwide in 2006, reflected that. Three years later, however, Angels & Demons (a sequel actually based on an earlier book) did less than two-thirds of that business. Perhaps this was backlash due to over-saturation, but to be fair, The Da Vinci Code is simply a more interesting, engaging story with a better hook than Angels & Demons—a fact evident in the movie. The same goes for Inferno, and while we don’t necessarily think the film will be a an absolute flop, it’s entirely possible that this trend of diminishing returns continues, especially as there’s noticeably less excitement and anticipation leading up to Inferno than either of the previous chapters. Rudyard Kipling’s The Jungle Book is a beloved classic that has been adapted numerous times, in every form from comics to live-action to Disney’s fan-favorite animated feature. In fact, Disney and Iron Man director John Favreau are teaming up to release a new version later this year with an all-star voice cast. But that’s not the only adaptation on the way, as Andy Serkis is set to direct Jungle Book: Origins for Warner Bros. 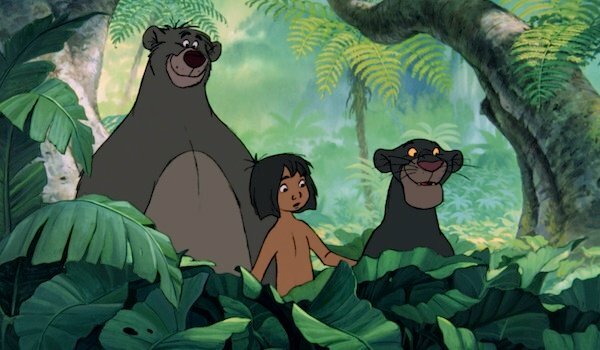 This one also has a star-studded cast that includes Christian Bale, Benedict Cumberbatch, and Christopher Walken, and tells the story of Mowgli, a boy raised in the jungle by wolves and friendly bear named Baloo, though this version is supposedly darker and grittier. Why We Think It Could Bomb: The Jungle Book is a true classic, but we question if there is enough nostalgia and love out there to sustain two big budget adaptations in a relatively short span. This is just the latest incident where two similar (almost identical) films hit theaters close to one another. Despite the relative merits, the second to arrive on the scene never does as well as the first to hit theaters. And this is only going to be exacerbated by the fact that the first one not only has stars like Bill Murray, Scarlett Johansson, Ben Kingsley, Idris Elba, and more, it’s also a Disney joint, which is already closely associated with The Jungle Book in many minds thanks to their 1967 animated feature. This does not bode especially well for Jungle Book: Origins, it might be a fine movie, but it has an uphill battle to financial success. Riding high off of the massive success of Deadpool earlier this year, 20th Century Fox was poised to have two new additions to their mutant comic book universe by the end of 2016 with X-Men: Apocalypse this summer and Gambit this fall. Following the adventures of the Cajun mutant most known for throwing cards, Channing Tatum will play the title role, Lea Seydoux signed on to play Bella Donna Boudreaux, comics legend Chris Claremont wrote a treatment, and Rise of the Planet of the Apes director Rupert Wyatt was set to take the helm. Why We Think It Could Bomb: For as successful as Deadpool has been, and how well everything went on that front, Gambit has been besieged on all sides by problems. There have been many reports about arguments about the budget, star Channing Tatum had a highly public dispute about his salary and almost walked away, and then Rupert Wyatt did abandon ship. Though Doug Liman (The Bourne Identity) has swooped in to take the role, all of these delays have pushed the film back and back until there was no way it was going to make it’s original October 2016 release date, and it was subsequently removed from the schedule. 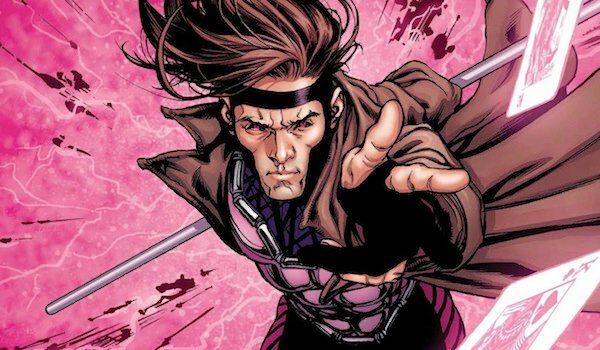 While there are slots for two more unspecified Fox X-Men movies, Gambit has yet to be officially rescheduled. Hopefully this delay just means that Fox is taking it’s time to get it right, but it’s hard not to get flashbacks to 2015’s Fantastic Four, which was also similarly problematic and wound up a disaster on every level.